Church Barn is nestled in the peaceful village of Little Marlow. 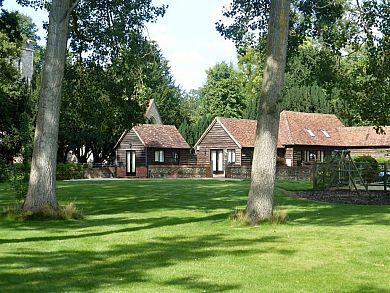 Close to the M40 and M4, a short drive to Heathrow, and a short walk from the River Thames through a Country Park. Herons and kingfisher fish the stream flowing along the boundary, red kites fly overhead and deer hide in the woodlands. WiFi, TV and DVD are all available. Breakfast is continental, with locally made bread jams and marmalade. The bathroom is en suite with a bath and powerful shower.